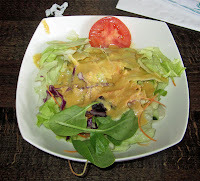 We ate at Acapulco Mexican Restaurant on the Sunday evening before Christmas. We were in St. Augustine to see the lights (which were nice enough) and decided to stop here for dinner. It was just OK. I probably would not go back. First, the bright side: we had good service and sat in a window right on the street (as requested). Our waiter, Dazaev M, was very attentive and did a good job. Then there was the food. It was OK, but just OK. I had the Enchilada Mixtas, several enchiladas. Mediocre at best. My friend Tommy had the Enchilada Fajitas. They were OK, but just OK. I would not go back. It's more of a touristy place than a place for really good Mexican food. We had dinner recently at Lulu's Oceanside Grill in Ormond Beach. We were staying nearby and found this place on Urbanspoon.com with a fairly good recommendation as well as a "thumbs up" from Watch Me Eat, another blogger. They were right, it was pretty darned good. We started out with the crab fritters and they were yummy. I had the Grouper Fish Tacos and they were excellent. My friend Tommy had the Jerk Chicken Wrap. We both enjoyed our meal here and recommend it. Perhaps it was my high expectations, but I came away from my recent visit to 4Rivers Smokehouse in Longwood disappointed. Or maybe it's all the hype? But the lunch I had there left me wanting for something spectacular and all i got was a mediocre sandwich with average coleslaw and beans. Let me explain. I went with some work friends for lunch. We got there early (before 11:30) because I'd heard they have long lines. We just barely got inside the door and had about a 10-15 minute wait but by the time we left the line was well out into the parking lot. I would not wait again for what I got. I ordered a "Signature Sandwich," the Texas Destroyer. The only destruction was to my expectations. There was a decent portion of smoked brisket which was, for the most part, quite yummy. It was topped by two onion rings, some jalapenos, and a slice of provolone. On my first bite, the onions all came out in one long mess.... I could not really taste the provolone but it was there. My main complaints are two. First, I tasted some of the burnt ends that were in the sandwich. They were overly sweet from the rub. Very, very sweet. Second was the homemade BBQ sauces. They too were overly sweet. Now, that is a texas style, but the sweetness really masquerades the flavor of the meat, so I was not a big fan of them. Some of the brisket just by itself was good. But as a whole it was just average. As for my sides, the beans were a bit soupy. I'm sure there were some bits of smoked meat in them, but mostly it was more of a soup. The coleslaw was average, nothing special. My friend enjoyed their meals but none of them were overly impressed either. Would I go back? If I didn't have to wait in line, maybe, but if I had to wait, it would not be worth it, I'd rather head around the corner to Chef Henry's for some really great food. One high point, however. Just before we finished one of the employees came around with small samples of the pulled pork. I tried some and it was very good, a nice flavor, a hint of smoke, tender and juicy. After that, i made the mistake of putting on a small bit of the house BBQ sauce--that totally ruined it for me, the sweetness overpowered the flavor of the meat. Too bad. So, when I want some good BBQ, 4Rivers will not be at the top of my choice list, sorry. Over-hyped for what you get. We journeyed from to Country Aire Bar & Banquet in Stratford as it was the only place that we could find to accomodate our party of 17 on somewhat short notice. 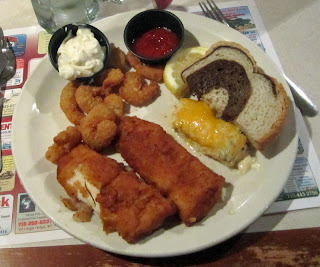 And it turned out to be a good choice as they have an excellent fish fry--that was our whole reason for going there. So on the Friday after Thanksgiving, a large group of my family made the 10 mile journey there and had a great Fish Fry--exactly what a Wisconsin Fish Fry should be. I was in luck, they also had a seafood buffet, and it included the beer-battered, deep fried haddock that is the staple of Wisconsin Fish Fries. And it had a bit more, it had some Haddock with cheese (strange combination, but it was actually quite good) and popcorn shrimp. So I got to sample quite a bit of stuff and it was all good. But I got to sample all the staples of a Fish Fry: the deep-fried, beer-battered fish, french fried, cole slaw (excellent, too) and rye (or in this case, marble) bread. It was all very good. The facility is rather large, with a large dining room on one side, a bar in the middle, and a large banquet hall on the other side. I'd imagine they do lots of wedding. No matter, it was a good choice, they were very accomodating, our waitress was fast, friendly, and efficient, and we had a great family outing, a great family time here. Yumm, definitely good eats! We stopped by Daily Grind on a recent Saturday. It was lunchtime but we found they were only serving breakfast. No matter, we decided to stay. And it was a good thing because our meal was fantastic! Daily Grind is a small, somewhat eclectic place in the heart of downtown Marshfield. It's really a coffee bar that serves a limited breakfast and lunch menu. With free WiFi and a cozy atmosphere, it's a great place to just hang out with friends, I'd thing. Tommy and I were shopping and called my sister Donna to join us. We got over our "breakfast only" initial disappointment and all settled on the breakfast burrito--it was a very good choice as it was excellent! A large tortilla was stuffed--and I do mean stuffed--with all sorts of goodness. 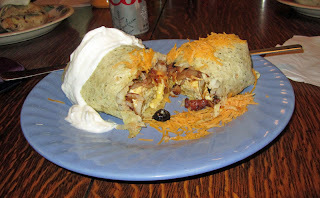 It had a definite Tex-Mex feel to it, chilies, cheese, olives, bacon, onions, and all manner of good things. It was awesome, we all agreed. It was topped with some shredded cheddar cheese and sour cream. All in all, this was great and I'd have it again. Is there really "home cooking" at Susie's Home Cooking? You bet! We made a good choice when we decided to stop here. 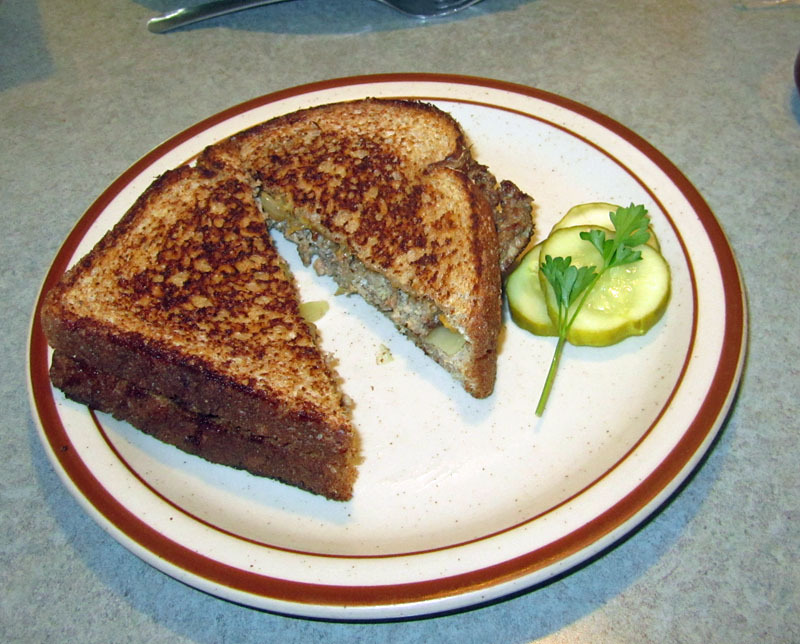 Warm and inviting, it feels like (and is) a small town diner inside--with great food. 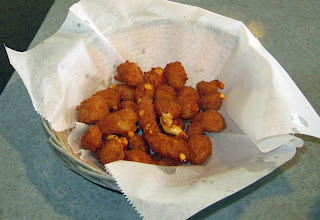 We had to start with the deep fried cheese curds. They were all they should have been, with a nice beer-batter coating, fried and tender and delicious. For his meal, my friend Tommy tried the Pasty. A Pasty is an upper Michigan treat, a pie dough of sorts that's stuffed with all sorts of goodness. This was stuffed with meat, onions, celery, and rice. It was excellent--really very, very good. 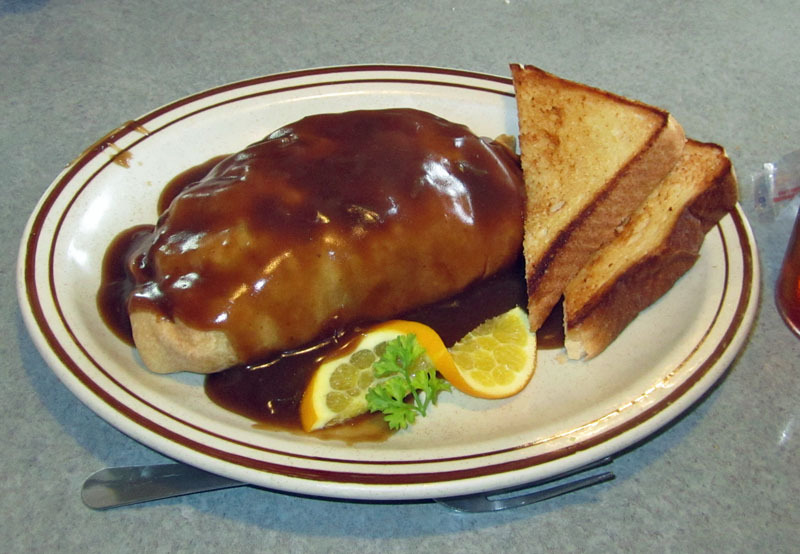 I would go back to Suzie's just to have the Pasty again--it was that good. I wish I could have gotten a dozen frozen and taken them back to Florida on the plane with me. Yes, it was that good. 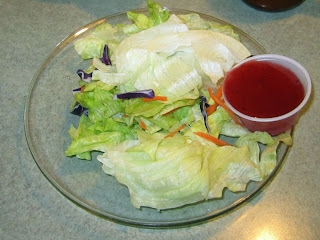 I started with a salad, and it was pretty typical, iceberg lettuce with a few bits of red cabbage and carrots for coloer. Nothing too special, but what you'd expect to find in a diner. 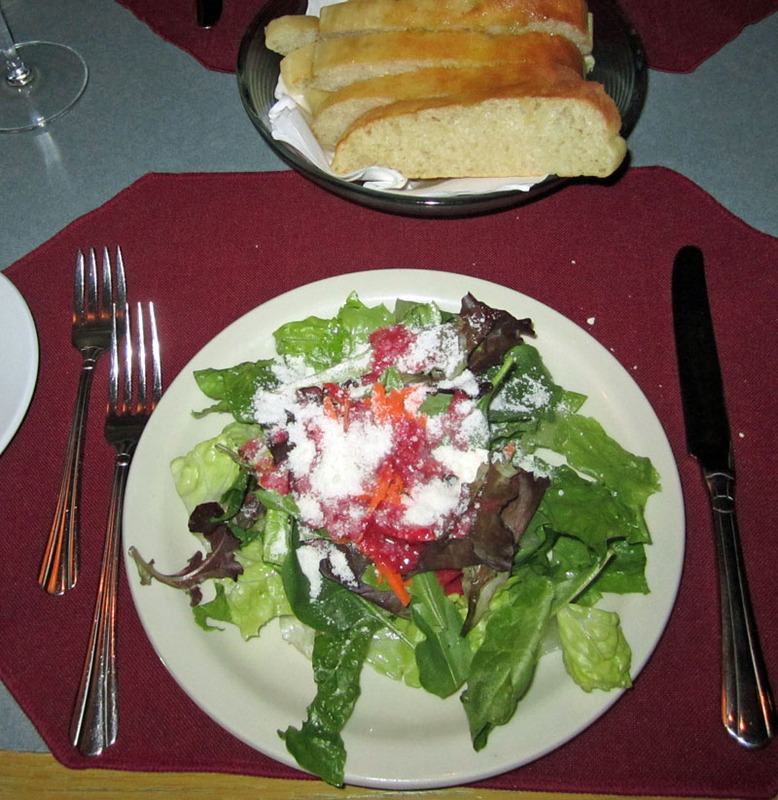 however, the dressing was homemade, a raspberry viniagrette, and very good. For my main course I had what I consider to be a diner staple, a Patty Melt. It was all I expected it to be. The patty appeared to be hand made and it was cooked perfectly. The grilled onions and the cheese made it just perfect. I loved it. 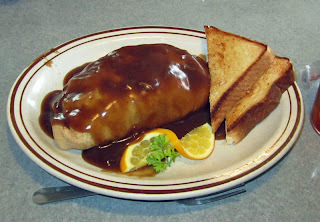 So, next time I'm driving from Milwaukee to Marshfield and need a bite to eat, I will remember the food at Suzie's. Definitely worth stopping for. 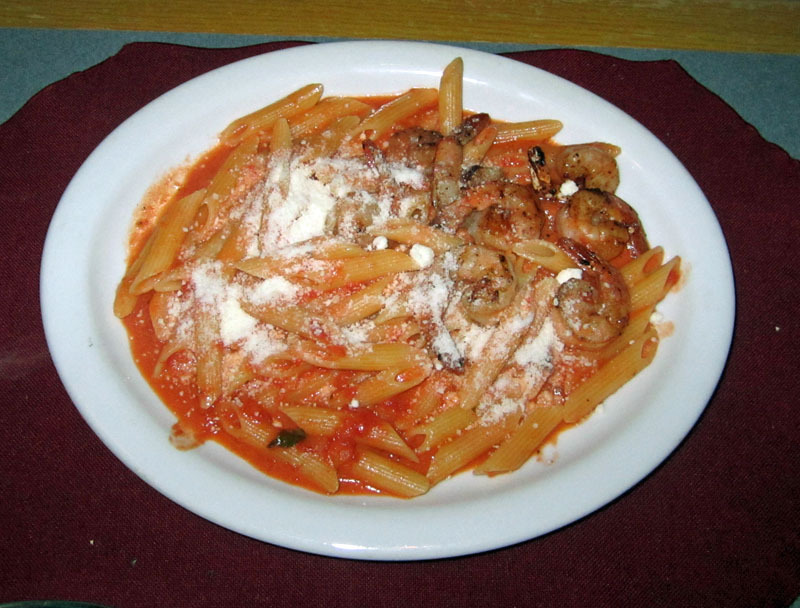 We ate at Silvano's Ristorante Italiano recently, and it was a pretty good meal. I had a coupon and a taste for some Italian food. It's a pretty nice place, very Italian looking. Not huge but a warm and inviting space. We started out with a glass of wine. I will say that the price of a glass of wine seemed a bit steep for the pour. 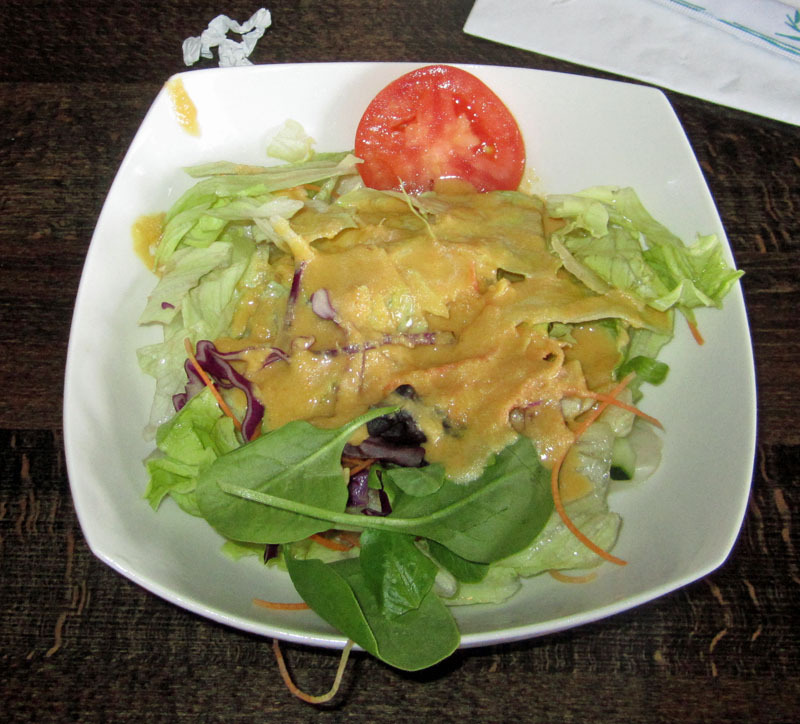 Our meal started with a salad. 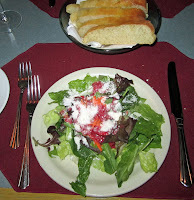 The salad, as well as the accompanying bread, was very good. It was lightly dressed and the greens were very fresh. My friend Tommy had the Penne Vodka for his main course. It was pretty good, though seemed a bit heavy on the tomatoes and light on the cream. Still, it was better than most. I had the Veal, thin-sliced cutlets of veal cooked nicely in a lemon-cream sauce served on a bed of fettucine. It was good and I managed to eat it all. All in all, it was a pretty good meal, and if I lived in the area I'd probably return. 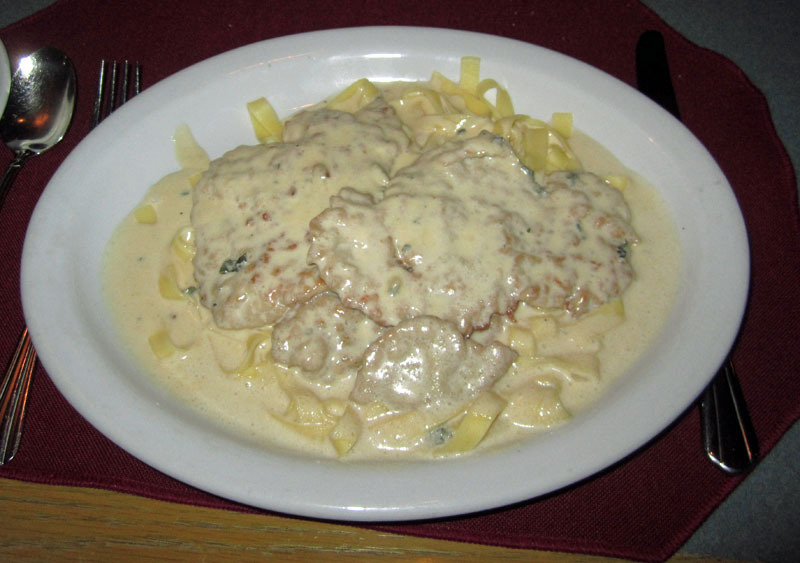 However, I live in Lake Mary and we do have better Italian food close by, like my favorite, Cafe Positano. Not to take away from Silvano's, it's still way above most chains the the food seemed genuinely Italian. Give it a try, let me know what you think! 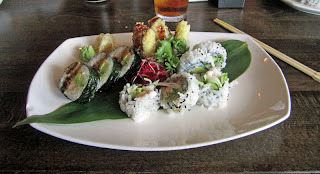 I went to Mikado Japanese Cuisine with a few coworker for lunch recently, and we were all in agreement--very good! It was a very pleasant surprise. I'm not all that familiar with Japanese cuisine, but they have an extensive sushi and sashimi menu--besides other things--and we all left very satisifed. We all agreed: we'd return again, it was very good. I ordered a lunch special, two sushi rolls, and it came with a choice of soup or salad. I had the salad. It was very good. An assortment of greens was dressed with a ginger dressing. Now, for my taste, the ginger could have been a bit stronger, but still, it was very good and nicely refreshing. For my lunch I had two sushi rolls, both cooked. One with chicken, one with shrimp. Both were very, very good! The accompanying wasabi was expecially good as well. For about $10, I had a really good meal. I'd come back here again, anytime. The service was extremely attentive as well. Excellent job, excellent food. Yumm!